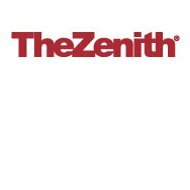 Zenith Insurance Company is a nationwide specialist in workers’ compensation insurance. It is a subsidiary of Zenith National Corporation. It was founded in 1977 and has now 1,400 employees. The company is dedicated to safety in the workplace, efficient claim cost management, and quality medical care. In May 2010, it received the rating of A (excellent) from the A.M. Best Company. The cost of workers’ compensation insurance depends on your business and your claim history. Each industry or category of business has a class code with its own insurance rate related to the risks inherent in that business. The more hazardous the workplace, the more claims can be expected and the higher the insurance rate will be. To save money, businesses can establish safety programs, promote drug and alcohol free environments for the employees, and receive credit as a result. You must note that the rates and regulations vary from state to state and from one carrier to another. Zenith Insurance Company offers its workers’ compensation policyholders free training programs to keep interruptions caused by accidents in your workplace at a low level. It will help you establish a safety program, make available wellness resources through a monthly newsletter, on-line seminars, and industry specific libraries. The goal is to prevent injury and correct unsafe conditions by having employees who are trained and can make a difference in their working environment. Zenith Insurance Company will take care of your claim within 24 hours after the first report of injury. It will quickly establish communications between employer, employee, and the treating physician. Workers’ compensation specialists provide guidance for injured employees to assure a safe return to work and to be productive again, as soon as their medical situation permits. About 30% of people who are injured at work will spend days away from their job. The longer an employee is off work, the higher the claim will be. As a result, your premiums will likely increase and, at the same time, you will be faced with lost production and the added costs of training replacement workers. Zenith Insurance Company’s multi-disciplinary team will work with you in making light-duty transitional work available to your employees to help them regain, in a limited capacity, the ability to get a paycheck and contribute to the smooth running of their workplace. The company is looking for talented people who can make a difference in the workplace. To build social awareness and good relationships, it also encourages its employees to volunteer on company time in community projects. Zenith Insurance Company is working diligently to minimize its impact on the environment. Between April 2010 and April 2011, it recycled more than 20,000 pounds of batteries and almost 6,000 pounds of electronic waste. If you are interested in learning more about a career at Zenith Insurance Company, you can find more information on their website . Getting quotes on health insurance is only one easy step away. Just enter your zip code in the free rates box right now.